From beautiful fireplaces to efficient stoves in Chantilly, there are a number of elements that can improve your outdoor living and heating. 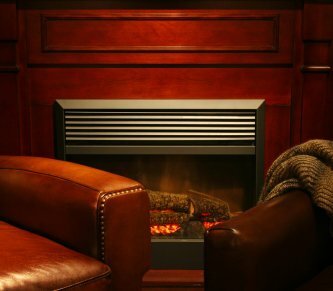 Whether you are having trouble narrowing down your mantel options or would like to understand gas logs more fully, the professionals at Home Living Fireplaces can help you find what you need for your home. Continue reading if you are interested in learning all about Home Living Fireplaces. At Home Living Fireplaces we are dedicated to helping our customers find the perfect grill, stove, or hearth for their needs. We have an impressive array of products to choose from; whether you are looking for an entire new gas fireplace or components of one such as fireplace screens or doors, we can help you find what you need. In addition to being able to help you locate and acquire the materials you are looking for, we are also committed to using our knowledge and expertise to help you install and maintain the products you purchase. If you do not know much about fireplaces, feel free to ask our team of expert professionals any questions you may have so that you can be confident in your decisions.